According to a recent report, the recession is responsible for more than just unemployment. 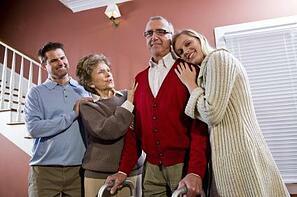 An increasing number of families are being relied upon to care for elderly relatives. Sadly, many family members are unaware of the challenges involved and how overwhelming caregiving can be. Sacramento County's Elder Death Review Team discovered a number of cases in the last year that were the result of that lack of knowledge. Suspected neglect was the biggest reason for a case review by the team, along with gaps in service and possible homicide – which happened in 10 percent of the reviewed cases. In one case, a 58-year old woman was brought to the hospital with pressure wounds all over her body – the result of inadequate care. Her family may have had the best intentions, but were simply incapable of providing the type of care needed. In almost every case, working with a reliable home care agency that offers a reputable home care system would have helped these overworked families avoid such unfortunate outcomes. As the Sacramento team reviewed home care cases, one thing was glaringly apparent: family caregivers were woefully unprepared for the responsibilities of care. Many may feel that caring for a disabled or elderly relative themselves is their only option, but that is absolutely untrue. As more seniors choose to age in place at home, the home care industry has been increasing and expanding – offering a wider range of services in more and more locations. What kind of training and experience do they have? What kind of home care system or home care software do you offer? How do you monitor and communicate with your caregivers? Agencies that use ClearCare’s home care software and home care system will easily show you how they schedule, manage, and track their caregivers. Communication between the care team is mandatory with ClearCare’s home care system so you will always be kept in the loop. If your family has underestimated the challenges of caregiving, now is the time to act. Don’t wait until tragedy strikes, as it has for so many families who were unprepared for the responsibilities of elder care. Call ClearCare today and ask a representative how home care software could be the answer for your family.